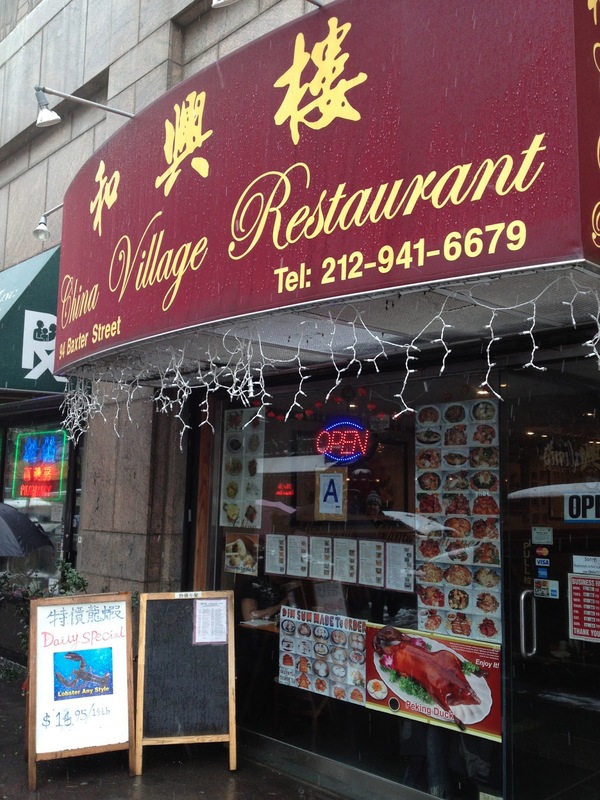 Big Poppa Eats: The Chinatown Project - Day 9 & 10, the finale! The Chinatown Project - Day 9 & 10, the finale! A quick finale to the Chinatown Project. As the last two days of jury duty wound down we hit two final restaurants. So far the batting average had been pretty high so I hoped to finish strong. We did OK. On day 9 we were in a snow storm so we went to a restaurant that was really close to the courthouse. On day 10 we went to a restaurant based on a fellow juror's recommendation. This is how we fared. China Village is a small restaurant on Baxter Street right behind the court houses. It is seafood focused and solid. The scallion pancakes were decent, and the Seafood Fried Rice was enjoyable. There were two standouts. Fresh, plum and delightful. A nice change of pace from pork. Excellent dish. Savory fried shrimp, salt and pepper batter heightened with fresh herbs, onions, peppers and scallions. A highlight. China Village will do nicely in pinch. 456 Shanghai Cuisine came with decent reviews and a recommendation. It is a bustling restaurant with white tablecloths and attentive waiters in buttondowns and bowties. First the bad. The Scallion Pancakes were doughy and soggy. We ordered Pork Shoulder in Honey sauce. It was, in theory, the same dish as Dong Po Pork at Shanghai Heping but it wasn't in the same league as that wonderful dish. The pork was drenched in a sauce that was sickly sweet and unbearable. The same was true with Baby Shrimp in Chili Sauce. Sweet, sloppy and unappetizing, I longed for Shanghai Heping's version. Diced Chicken with peanuts was good and saved the main courses from total failure. There were two standouts at 456. Really top notch buns. Worth going for. The name of this dish is counter to what it is. These are anything but tiny. They are massive. And they are not really pork dumplings. This was a unique dish that I didn't see anywhere else. 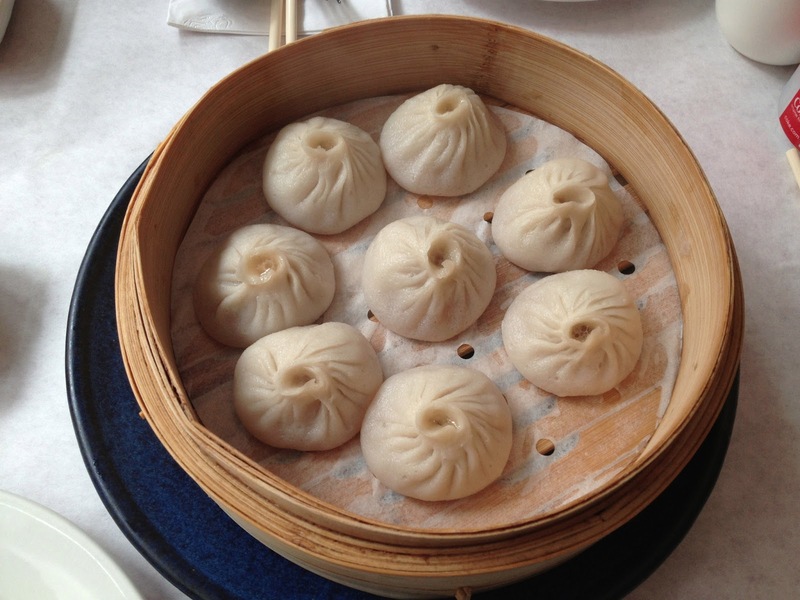 They are cased in the pillowy dough of a pork bun. The filling is the pork of a soup dumpling. 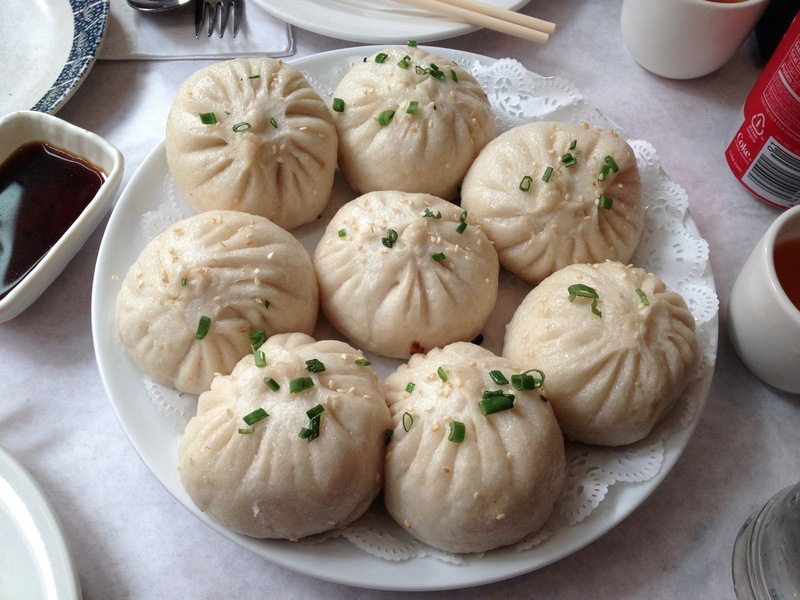 The buns are deep fried which makes the outside of the bun crispy and the inside juicy and filled with broth, like a soup dumpling. Outstanding. I wish 456 Shanghai Cuisine was a stronger restaurant. It is a boisterous restaurant with good service and some standout dishes. My guess it is the kind of place that takes a few visits to figure out it's strengths and weaknesses, but once you do it is a solid place to eat. 456 Shanghai Cuisine - 69 Mott Street between Canal & Bayard. Ten days, ten different restaurants. I finished my two weeks in Chinatown with a renewed appreciation for the area and a list of great restaurants. The best part is that I barely scratched the surface. All the places I went were west of Bowery. I did not get to explore the East Side of Chinatown, which is rich with great restaurants, at all. Just imagine the gems hidden there. I promise to share them when I dig them up. I have to Pay To Do My Dissertation upon Chinese food but I don't understand where should start writing a paragraph of Chinese food I have few question regarding Chinese food? Which is the most excellent Chinese food ancient Chinese food or traditional Chinese food? When i was a student academic writing is one of the nightmare for me but after few times i got so many ways to complete my tasks UKEssayTigers is the only brand who provide me feasible and cheap dissertation writing services uk with 100% money back guaranteed.